Cool stuff, Lisa! 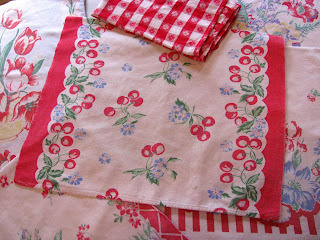 I love the cherries towel and your vintage aprons! Darling theme and colors! I can't wait to see it all complete! 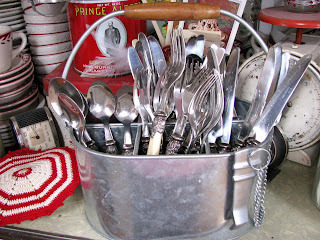 Thanks for the fun share today on the kitchen progres! Just love your RED and thanks for posting the pics. Can't wait to see it completed. Oh I just love the red color you chose. I to am a Red lover. I forgot to ask you ...what do you do with all of your wonderful cards? Do you belong to a swap? LZ, I love your new light and everything looks so nice! It is a gorgeous new kitchen for ya! Oh I just LOVE all the red Lisa!! 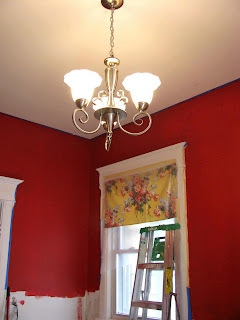 Wish I was brave enough to do my kitchen in red!!! I played it safe with yellow. 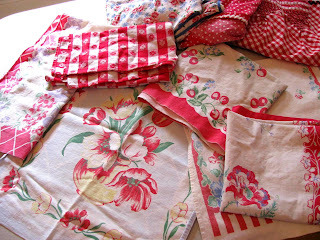 I have several old "red" floral linen table clothes from my mother & MIL's stash and truly cherish them!!! Hi, Lisa, I'm Holly and this is my first time here! ♥ I love all your red stuff. I can't wait to see your kitchen when it is all done. 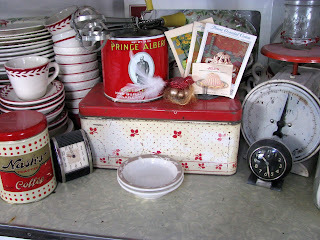 I have a red Yellow and White kitchen but I hope to add more Red as time goes by. 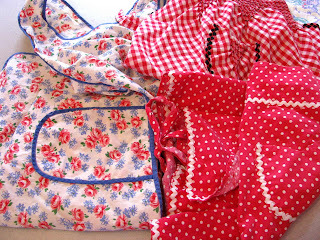 Lisa, I love all of your red stuff, too kewl! It it will be great to see it finished. Looking GOOD!! LOVE the red!! When's the next stampin get-together?? ?